We all knew 2019 was going to be a good year for music, but if today’s (Jan. 18) windfall of new releases is any indication, it’s shaping up to be even better than we thought. 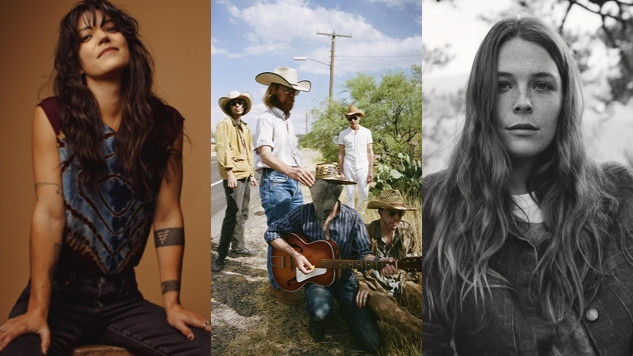 With so many great albums out today, it can be hard to know where to start. That’s why we’ve put together a list of the most exciting albums out now and where to check them out. Here, in alphabetical order, are 10 albums out today worth checking out. 1. Deerhunter, Why Hasn’t Everything Already Disappeared? Bradford Cox and company have returned with their seventh album as Deerhunter. Why Hasn’t Everything Already Disappeared? is decidedly poppier than their previous work, devoid of the noisy nostalgia that characterized albums like Microcastle and Halcyon Digest. However, that doesn’t mean it’s not dense—it’s still a Deerhunter record, after all, and it tackles themes of national fatalism and disillusionment. The Boston rock veterans of Guster are back after a four-year break with a new album titled Look Alive. The band appears to have been restless in the interim, as this new album incorporates everything from grand, arena-style pop hooks to the whimsical balladry of ‘60s groups like the Kinks. Stream it below and while you’re at it, check out a Paste-premiered acoustic version of “Hard Times,” the studio version of which appears on the new album. Assume Form is just as eclectic as we have come to expect from a James Blake release, with appearances from the likes of André 3000, Travis Scott, ROSALÍA and Moses Sumney. It comes as a breath of fresh air in his discography, with over 45 minutes of music about being happy and in love. Juliana Hatfield is back with another album of wry alt-rock storytelling. Weird is her first album since last year’s Juliana Hatfield Sings Olivia Newton-John, which was—you guessed it—an Olivia Newton-John covers album. This new one doesn’t disappoint, with her signature brand of fuzzy guitar rock constantly evolving to reflect the times. Seattle indie rockers Pedro the Lion have released their sixth full-length together, Phoenix. The album is a long time coming, with their last album Achilles Heel arriving way back in 2004. Fans will be pleased to find that these 13 new songs have all of the same emotion-tinged rock spirit as before, and the years since their last release have only served to revitalize the band. You can read Paste’s review of the record here. Sharon Van Etten’s fifth album Remind Me Tomorrow is finally here, and it’s one of the year’s best so far (no surprises there). The album comes after a period of intense change for Van Etten—professional change, romantic change, familial change—and as such, finds her renewed, energetic and more inclined to rock out than ever before. Nothing makes this evolution more apparent than the aptly named lead single “Comeback Kid,” which introduces a kind of pop rock drive that was absent from her previous work. Brooklyn songwriter and musical journeyman Steve Gunn is back with a new album titled The Unseen in Between. The project is a collection of lush, nostalgic songs that recall the heyday of ‘60s folk music. The Unseen in Between deals with Gunn’s personal experiences navigating grief and the worries of the world, among many other things. “I feel like the last album, Eyes on the Lines, is a bit more electric and I kind of wanted to take a step back and be more vocally forward and let the songs unfold naturally,” Gunn recently told Paste. Scottish post-punk band The Twilight Sad are back with their most hard-hitting and somehow most accessible effort to date. It Won/t Be Like This All The Time sounds like it was made to be played in an arena, and this makes sense, because The Twilight Sad spent much of their 2016 on a long tour around the world opening for The Cure. They might be on their fifth studio album, but The Twilight Sad are still on their way to even greater heights. Musical polymath Chaz Bear is wildly prolific as Toro y Moi, so we anticipated he would have another full-length for us, even just two years after 2017’s Boo Boo. Still, this year’s effort Outer Peace comes as a surprise. For an artist who seems to have already plumbed the farthest reaches of his particular brand of dreamy electronic pop, Bear really manages to stake out new territory on Outer Peace, shifting his focus towards future funk and R&B, and bringing his vocals way up in the mix. The result is a lush, eclectic half-hour of fun that you won’t want to miss.